Aluminum Storage Cache Set | BUDK.com - Knives & Swords At The Lowest Prices! 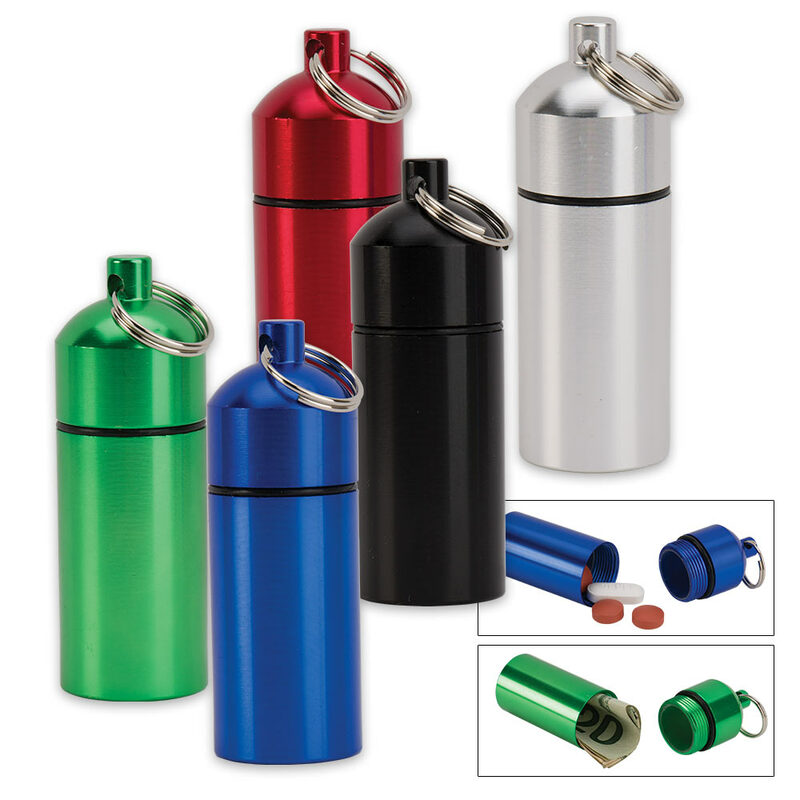 The Aluminum Storage Cache Set is just perfect for everyday use on your key chain, backpack, purse or pocket. The waterproof quality allows you to use these storage tubes while doing water activities. 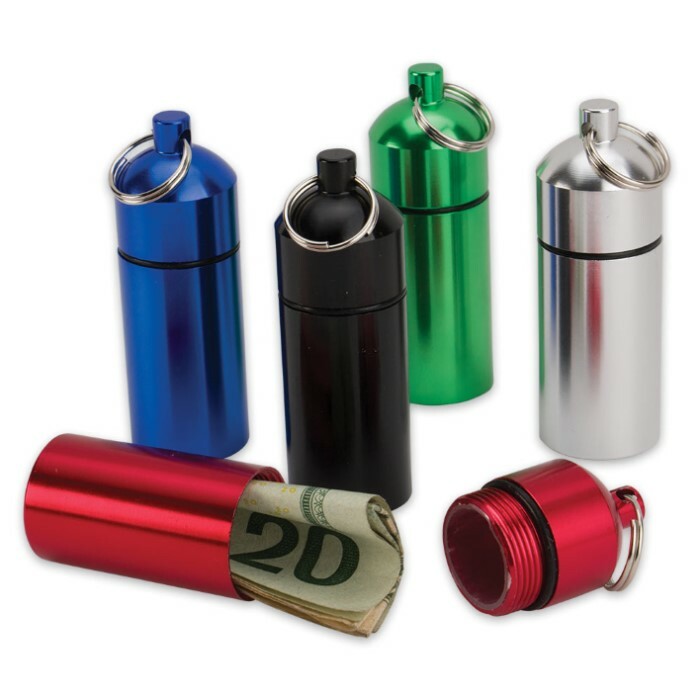 The waterproof aluminum body has an O-ring seal and comes in blue, red, black, green and silver. They have a flat bottom, plastic lined interior and are 2 1/2” in length by 3/4” diameter. This is a pack of five assorted colors: blue, black, red, green and silver. 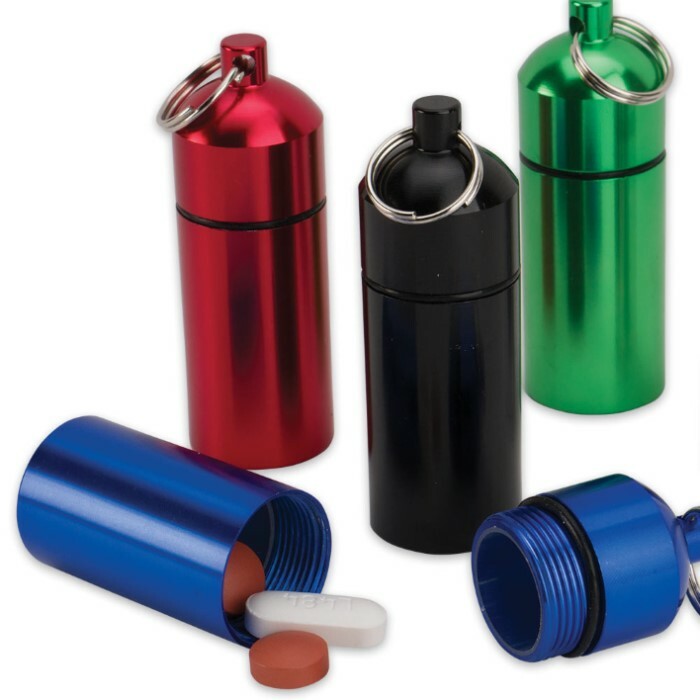 These canisters are just what they appear to be in the photo. Small sturdy containers, id about 1/2 - 3/4 inch and about 1 3/4 inches deep. The screw on cap operates smoothly and the o-ring seals out moisture. Useful for securing small items such as pills, etc. (matches may need shortened).